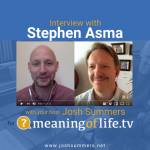 I had the great pleasure of interviewing Stephen Asma, author of Why We Need Religion – a book that dramatically changed my view of religion and its role in our culture. We discussed a wide variety of topics, from how religion has shaped our emotional lives for millennia to predictions for how religion will evolve in America. 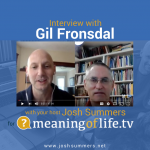 In this interview, I ask Gil about his new book, The Buddha before Buddhism, in which Gil provides translation and commentary to one of the oldest extant Buddhist texts, The Atthakavagga, or The Book of Eights. What was so interesting for me to hear was that, perhaps, the Four Noble Truths – widely believed to be the first discourse given by the Buddha – may not have been his first teaching, at all.